Team-mates find it difficult to keep up with Kemar Roofe after his dramatic stoppage-time winner for Leeds United who had trailed by two goals to Aston Villa at Villa Park (Picture: Tony Johnson). THE prized number one slot in the Championship this Christmas belongs to Leeds United. 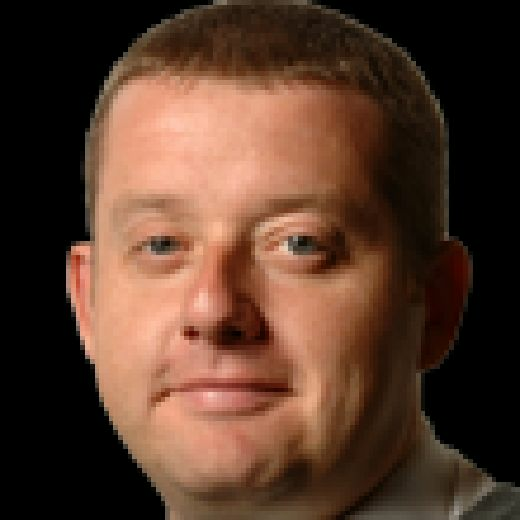 Kemar Roofe’s dramatic stoppage-time winner, coming at the end of a pulsating second half that had begun with Marcelo Bielsa’s side trailing Aston Villa by two goals, means the Yorkshire club top the festive charts for the first time since 2009. As with that ultimately successful attempt to escape League One under Simon Grayson, United’s push for a Premier League return feels to be building genuine momentum as the year draws to a close. No matter what hurdles are placed in this side’s way – be it losing Barry Douglas to illness during the warm-up or Patrick Barmford suffering a knee injury in training on the eve of the trip to Villa Park – Leeds merely dust themselves down and work out a way to win anyway. It is the mark of true champions and a trait that suggests head coach Bielsa’s men have every chance of continuing the recent tradition of the team topping the Championship on Christmas Day being in the top flight the following August. Not since Watford in 2007 has a team enjoying the view from the summit at this stage of the festive season failed to go on and clinch automatic promotion from the second tier. 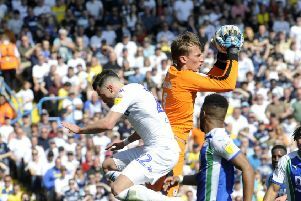 Jack Clarke gets Leeds United's comeback against Aston Villa underway with his maiden senior goal (Picture: Tony Johnson). Bielsa, of course, is taking nothing for granted as the vastly experienced head coach made clear in the wake of Roofe’s winner. Privately, however, Bielsa must surely recognise that this Leeds squad possess not only the character, but also the personnel required to prosper in this most competitive of divisions. Pontus Jansson, shouldering much of the defensive burden in the absence of injured captain Liam Cooper, was immense against a Villa side who boast such an abundance of attacking talent that their manager Dean Smith was able to bring £12m signing Scott Hogan off the bench. I hope we are not the exception to this rule you mention. But all rules do have exceptions. Before Roofe’s late, late winner – and with play raging from end to end with the scores level at 2-2 – the Swede pulled off three colossal blocks in a row deep inside United territory. He also stood tall as Villa pumped cross after cross into the visitors’ penalty area, inviting comparisons with John Terry, watching from the home dugout, in his pomp. Ezgjan Alioski, employed on the right flank, also shone even when Villa were on top, while the ageless Pablo Hernandez drove Leeds forward relentlessly in the second half. And then there was Jack Clarke. The 18-year-old may be yet to start a game for Leeds, Bielsa preferring to instead use the York-born wideman from the bench. But after being brought on at half-time for the fourth time this season Clarke proved to be the attacking spark the visitors had so badly needed. His first senior goal was a joy to behold, Clarke collecting a pass from Hernandez out wide before darting past former Hull City man Ahmed Elmohamady and drilling a low shot beyond Orjan Nyland. Clarke had his first senior goal and Leeds a much-needed lifeline after falling 2-0 behind inside the opening 17 minutes. Enterprising play on the part of the hosts, helped by a smidgin of slack defending, had allowed Villa to take an early grip on proceedings in front of a sell-out 41,411 crowd. Tammy Abraham began and ended the fifth minute move that broke the deadlock, the Chelsea loanee’s accomplished finish coming a few seconds after his clever flick had found Conor Hourihane. Bailey Peacock-Farrell had little chance of keeping out Abraham’s opener, but he should have done better with Villa’s second after getting a hand to Hourihane’s curled effort. He was, though, far from on his own in the culpability stakes with Kalvin Phillips and Adam Forshaw allowing Jonathan Kodija to spin his way along the edge of the United area before rolling a pass to Hourihane 25 yards out. Last season Leeds would more than likely have folded meekly when two goals behind at the home of a big promotion rival. But United are made of sterner stuff under Bielsa and Clarke’s maiden goal was followed by Jansson heading the visitors level from a Hernandez corner just after the hour. Both sides then had chances with Mateusz Klich and Alioski bringing smart saves from Nyland, and Peacock-Farrell had to be alert from a Villa corner at the other end after Yannick Bolasie had wastefully fired over. That seemed to be that until a poor defensive header from Elmohamady landed at the feet of Roofe. A Christmas cracker was required and that is just what the Walsall-born forward delivered to send Leeds back to the summit for the festive season. Top of the tree, on top of their game and, on this showing, a team that is going to take some toppling.